4 is the magic number for an introverted client of mine. He is at ease and comfortable in a group that has less than 4 people in it. As soon as there are 4 people that he doesn’t really know, he begins to withdraw. Once he knows people, the number is no longer 4 and if there are only 3 “strangers”, he is fine. 5 is a magic number for many of my Jazzercise students. Most of them feel at least psychologically better at 1 or 2 workouts per week. Some notice a change in weight or fitness level at 3 or 4 workouts per week. But, something magical tends to happen when they cross the threshold to 5 workouts per week. Fitness level is very noticeable, and if they are someone that is trying to lose weight, the pounds begin to melt away. 3 is the magic number for me when it comes to how many treats I can have without losing control. Keebler EL Fudgesticks are my #1 weakness and if I can limit myself to 2 cookies, I can stop. If I eat 3, I end up eating 6 or 8 or half of the box. The same is true with potato chips. There used to be a Lay’s potato chip commercial that said “I bet you can’t each just 1.” I totally can eat just 1. I can even eat only 2. But, if I shove in that 3rd chip, I end up grabbing a handful and munching my way into the bag. 6 seems to be the magic number for most teams I work with. Team dynamics, team processes, collaboration, etc. all seem to go pretty well and work is easier when there are 5 or less people in a team. When the 6th person joins, something happens and the communication often begins to break down. 7 seems to be a popular magic number for sleep. If people get more than 7, it’s okay, but less than 7 and they are not their best selves. 30 is our magic number for date night. If my hubby and I go more than 30 days without a night that is just for us – no family, no friends, no work, no church – we start to feel a disconnect that is palpable. 4 is the magic number for how many pounds I am over my ideal weight. I can live with 1, 2 or 3, but at 4# suddenly none of my clothes fit. I don’t even need the scale, but if I do step on it when I feel a little heavy, it almost always is 4#. If you are open to it, I’d love to have you share your magic number. What is the threshold you cross where things feel very RIGHT or very WRONG? Breaking Trail ... Who Knew? It’s April 15th in Minnesota and I am surrounded by people who are completely disgusted with this late spring blizzard. I’m not sure if it’s my generally optimistic nature or my love of winter that has me excited about the storm. Whatever it is, I couldn’t wait to get dressed in my best winter gear, grab the girls and hit the trail. Apparently, no one else felt the same excitement, as our streets and neighborhood have been incredibly quiet the last 48 hours. We were the first ones on the walking path through the park this morning. The snow was about a foot deep and there were no footsteps to follow in. It was us forging the trail and it was a slog! I understand the combination of exhilaration and exhaustion. I couldn’t help but think about what it’s like to be the first … to try anything. The first to share a new idea. The first to bring a product to market. The first to go to college in your family. The first person to say no! No matter what the “it” is, being first takes strength, persistence, vision, and support! The wind was blowing with gusto from the south for half of our walk and it provided another type of resistance.Who knew that snowflakes hitting your eyeballs at 40 mph could hurt? There was never a time on our walk when it was easy, but we kept pushing (and pulling) ahead, determined to make it all the way around the park regardless of how hard it was. When we got to street crossings there were snowbanks that were 3 feet high and we had to get beyond them in order to keep moving forward. The girls got over the banks much easier than I did because they have 4 legs and I only have 2. At each bank or drift, I watched them push off on their back legs and bounce up and over. Meanwhile, I struggled with my 2 legs because I had to walk through it; I didn't have legs to push off and legs to land on. I thought about why work is so much easier with a team. My dogs have a 4 person team and my team has only 2 to work with. As the leader of the team, I did have to keep us moving ahead. There were times that members of my team were distracted. Critter smells, debris blowing around, another spot to pee on and there is always the temptation to play with each other. All of these presented chances to get off track. Just like in real life, there were times when I was pulling- leading the way, and others when I was being dragged along. How grateful I was to be on this journey with others. When we walked in the front door all we wanted to do was flop down on the front room floor and take a nap. The voices in my head were sending conflicting messages: "You have lots to do. Take off your snow gear and get busy." and ”That was really hard work. You could have skipped the walk this morning, but you persevered. It's okay that you take a rest and savor the experience." I chose to rest and savor the moment. It was from that rest that the idea for this blog came. Had I jumped right into work, I would have moved on and missed these reflections. I am so grateful that I continue to receive lessons/ thoughts/ insights from my daily life. I hope you make the time for your own reflections as you move through the day-to-day. p.s. These are not pictures of my own dogs, but they are a close resemblance. I could not handle a camera and 2 Siberian Huskies and a snowstorm! When "Hard-Headed" is a Good Thing! A few years ago I wrote a blog defending the term “Third Wheel” because I felt that it had gotten a bad rap. A recent experience has helped me see that “Hard Headed” is another term that needs some defending. 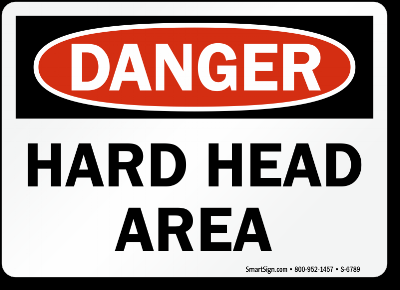 As a child, growing up in a Scandinavian household, I heard the term “hard headed” get used all the time. It was usually my Norwegian father describing my Swedish mother or visa versa. Trust me – they could both dig in their heels and become immovable, so if the term is meant to describe people who have a stubborn streak, then I grew up with terrific examples of what “hard headed” looks and sounds like. So, what changed my mind, or at least opened my eyes to another perspective of the term? It was actually a walk in the park. Many of my blog posts come from experiences (or thoughts) I have while walking my dogs. It was a lovely, sunny afternoon, albeit the path in the park had a light dusting of snow on top of layers of ice. It had rained ice so we had a good, treacherous coating. I was minding my own business when a person came along with her dog on the very narrow path and disrupted my lovely afternoon. Her dog decided to lunge at one of my dogs, and the next few seconds turned into something that might have made for an amusing video, but in person it was terrifying. My dog tried to get away and ran behind me, taking my legs out from underneath me with her leash. I went from vertical to horizontal in the blink of an eye – landing smack on the back of my head. Before I could think about the fall I had just taken I needed to react to the dog situation. I heard the girl screaming because her dog had run away, my dog had busted out of her harness and was chasing her dog, and she had just seen me trash my head on the icy sidewalk and probably thought I was dead! I popped up like nothing was the matter and called for my dog to come back to me. The first miracle of the day happened when she actually responded to the call. I have had Siberian Huskies for 22 years and I have never had one come when I call! The second miracle occurred when I got home and realized that although my brain felt foggy, my head didn’t hurt at all. How could I land full force on the back of my head and have no pain? Because I am “hard headed”! I watched my Dad be “hard-headed” about a lot of things and sometimes I was embarrassed by that. Now, as an adult, I have a great deal of respect for the times I remember him being the only one in the room to speak out with the unpopular suggestion. If he believed in it, he was going to stand by his beliefs. I admire that in him, and hope that a bit of his “hard headedness” rubbed off on me – in more ways that just protecting my brain when I crash on the ice. I vote that we give “hard headed” a break and not always think of it as a bad thing. Maybe we need to have National Hard Headed Day! Nothing quite captures your attention and draws you in to read a post as much as a picture of a weed, right? I am counting on the fact that every reader of this blog has had a weed encounter of some type and is intrigued by the title. I would love to have a salsa vegetable garden. I would love to have lovely perennials that bloom year round. I would adore having brightly colored flower patches filled with annuals. However, each of those things that I love involves pulling weeds - from time to time. As much as I love the thought of a salsa garden and lovely flowers, I dislike the thought of pulling weeds. However, yesterday morning I hit a point of weed intoleration that had me choose to go out and deal with the problem. As I stood on my back deck looking at my backyard, I realized that in one corner of the yard, I could no longer actually see the flowering bushes - they were completely surrounded and infiltrated with weeds. I took a deep breath, quickly ran through my list of excuses for why I could not deal with the weeds .... and came up empty. Armored with mosquito spray, long pants (even though it was 87 and super humid), short sleeves (a HUGE mistake), heavy canvas gloves and a bucket, I headed to the corner. I gave myself a timeline - 15 minutes - I would make whatever progress I could make in 15 minutes. I do my best in any unsavory situation when I try to think of the lessons I can learn from it ... here is what got me through my 15 minutes! #1. It takes a lot of effort to cultivate good things in our lives (teams, organizations, relationships) - while weeds take zero effort - they just show up on their own. #2. Sometimes good things can look awfully similar to bad things UNTIL you look closely - just like weeds. #3. 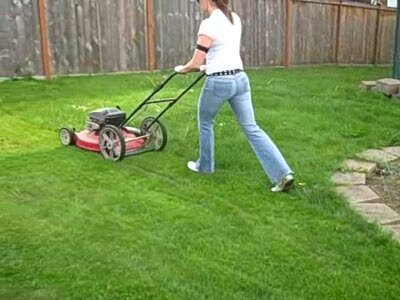 No one else is very eager to pull your weeds - they are your weeds and you need to deal with them. #4. I have to put up fences and use other products to protect the things I want to keep; the weeds that I don't want, no one else wants either. #5. Sometimes it hurts to get rid of a "weed" in our life, but it's totally worth it. What weeds are you sick of looking at and you just need to go in and PULL THEM? It is the only non-sporting event that I use my TV for these days. Why? What is it about The Voice that pulls me in? I had one hour over the weekend to catch up with the new season, and with DVR, that means I can watch one 2-hour show in about half the time of watching it live. In that one hour, I laughed - I cried - I was amazed - I danced - I sang along - I was inspired - I empathized. That's a lot of emotion for only one hour. It's true that as a former music major and radio station employee, I have a deep love for music, but it's so much more than that. 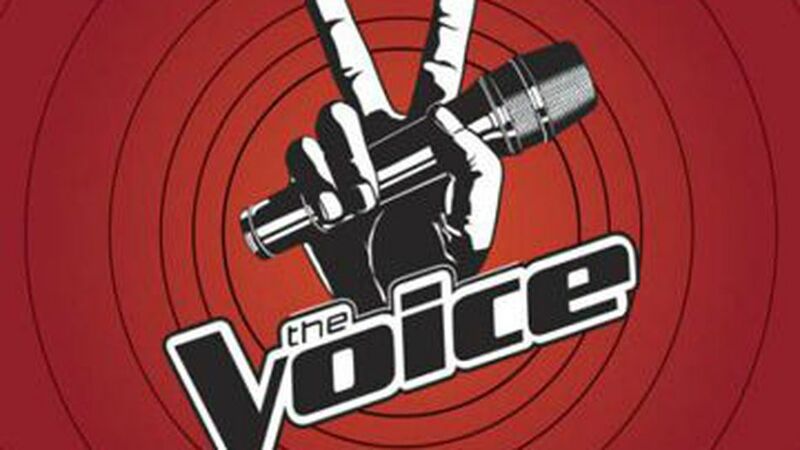 Let me articulate what it is about The Voice that brings me back again and again - life lessons! I hope that you choose to use YOUR voice for good and understand the impact it has on others!! This is the "girls" after a long walk in the snow - RECOVERING! It has been cold (that is a huge understatement) in Minnesota this past week. We have had a few days where the high temperature was below zero ( I don't know how to translate that to Celsius, but it's COLD) and the windchills have been between -25 and -35. When the temperature did go above zero, it snowed 4 or 5 inches. For most of us humans, those are the days that we choose to stay in our houses, turn on the fireplace and drink hot cocoa all day. To Siberian Huskies, however, it means PLAYDAY!!!!!!!!!!!!!!! So, I took 20 minutes to put on all the layers and took the girls to the park. As I am inclined to do, I thought of all the life lessons I was noticing during our time outside. I thought I'd share with you! I am a jigsaw puzzle addict; at least at this point in my life! About a year ago my love affair with puzzles was reignited when I found collage puzzles. Have you seen them? If you love puzzles, and you haven't seen them, you have to check these out! Currently, the Neon Signs one is spread all over my sun-room table. I have tried putting puzzles together without looking at the picture (the cover on the box) and it's impossible for me. If I don't have a picture of what the finished product looks like, it makes no difference at all that I have all the necessary pieces. I'm not going to get it done. I have some friends that try to put together the puzzle as quickly as they can - as if it's a race to be won. I don't do that either. I think that we ought to enjoy the process. It's a game of trial and error. You pick up a piece and examine it closely to see where it might fit in the picture. Sometimes you see it right away - other times you can't see it at all and it goes back into the pile for later. There are times you are convinced that a piece goes in a certain place and you nearly break the piece trying to jam it in. That's not a very successful approach either. This puzzle was really challenging because the edge pieces are all the same color - black, yellow and pink. The only difference is the shape. Typically, the frame of the puzzle is pretty easy for me. This one wasn't. Isn't that like life, too? Sometimes you get a structure put in place quickly - other times it comes slowly. I have learned to be okay with slowly putting it in place. I work for a bit and then walk away. I can come back in an hour or the next day and it all looks different to me. The pieces that I couldn't see before now jump off the table and nearly put themselves in place. It's all about perspective and timing there - just as in life. Another piece that struck me today was how I had felt a bit defeated about this puzzle. I could see the finished picture and it felt like I wasn't making any progress at all. It took someone else looking at the puzzle to say "wow, you are really moving along". Isn't that great? We all need someone to remind us we are making progress. Go ahead - draw your own life lessons from my puzzle story - I know there is one in there for you. As for me, I'm going to think about the fact that I have a picture of what it will look like when it's complete and I have all the pieces - no one is going to put it together for me - it's my job. This puzzle, just like me, is a work in progress! Too old to go trick or treating? No costumes sound interesting this year? How about making a new tradition? On Halloween, do something that personally scares you! I'm not making any suggestions this week - you know what scares you - try it - maybe it's not as scary as the story is that you have made up about how scary it is. I'm not talking about taking physical risks or doing something stupid; I'm suggesting something that you have told yourself is scary and there is a slight chance that it really isn't! This tradition starts by you asking yourself "what am I afraid of ?" DO NOT GOOGLE 3rd WHEEL! Everything I could find out in the universal database referred to the negative aspects of being the 3rd wheel. Furthermore, it is nearly always in reference to dating or relationships where the non-involved person feels awkward. I couldn't even find a decent quote on being a 3rd wheel. Following those searches is not worth your time; stick with me right here and let's see if I can make a case for elevating the 3rd wheel. I think that the term "third wheel" has gotten a bad rap! Lately I have been in situations where I am conscious that someone might have felt like a 3rd wheel. There may have EVEN been times when I felt like a 3rd wheel (pretty hard for a flaming extrovert like me). I started thinking about what's it like to be a 3rd wheel and came up with a nice list of reasons why I believe we need a 3rd wheel and why you should feel GREAT when you are a 3rd wheel. #1 Let's use the metaphor of the tricycle. It's a tricycle because it has a 3rd wheel. 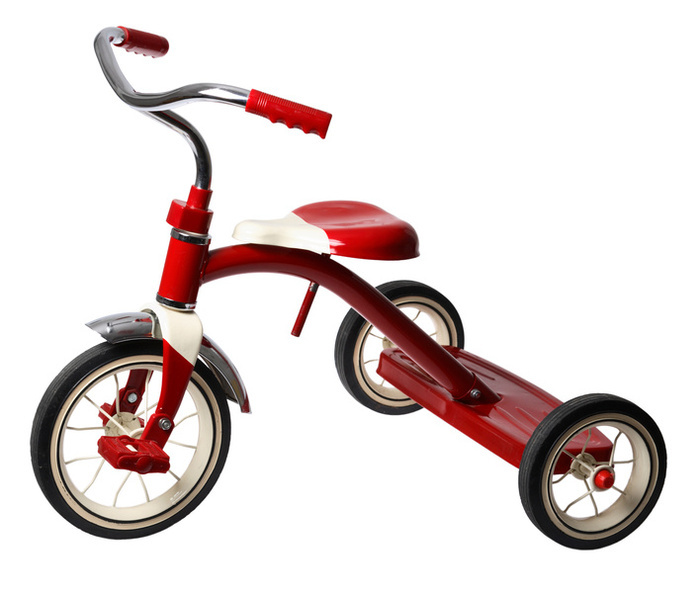 This wonderful invention helps small children learn to peddle and steer. It prepares them for the time they are ready to ride on a two-wheeler. What does being a 3rd wheel teach you? #2 In the case of the tricycle, the third wheel determines what direction you will go. The other two wheels just come along for the ride. In a sense, the 3rd wheel is the tie breaker. One of them wants to go for pizza. One of them wants Chinese. You pick pizza and ... pizza wins. Where in your 3rd wheel life, can you step up and determine the direction by being the tiebreaker? #3 A 3rd wheel provides balance. Without it, all of these cycles displayed might very well tip over. No question, they are more stable with a 3rd wheel. Where do you provide stability and balance by being the 3rd wheel? #4 For the recumbent 3rd wheeler pictured, we see that the 3rd wheel provides comfort. Many people could not ride a bike if they didn't have that 3rd wheel that allows them to be stable and just lay back. It's a great thing to be able to provide comfort to others. Nothing to be ashamed of or feel embarrassed about. Where are you being a 3rd wheel that provides comfort to others? I'm feeling very good about the service I provided to the 3rd wheel this week. Please share this message with every 3rd wheel you know!